Roses rank among one of the most gorgeous flowers on the planet. Both in beauty and scent, they are one of nature’s most sublime blooms. 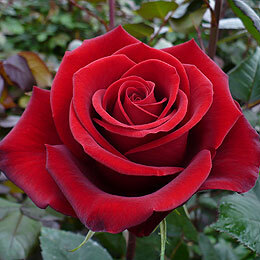 With it’s heart-shaped petals, they represent romance, remembrance and respect. Its admirers rank from the casual lover of a red bouquet to the stalwart flower show entrant. True rose lovers can be as passionate about their flowers as a fisherman is about carp. On the other hand, roses aren’t everybody’s cup of tea. But perhaps they should be. 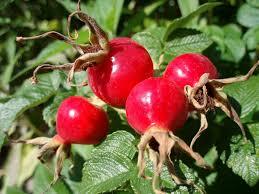 Many people know that rosehips are good for you. In the grim days of World War II, rosehip syrup was given as a dietary supplement to boost vitamin C. Did you know that, gram for gram, fresh rosehips have many times more VitC than oranges? It’s not only the hips that are beneficial, though. The petals are just as, if not more, beneficial than the hips, and in combination they can be a truly dynamic duo. There’s a kind of taboo in the Western World about eating flowers, yet anyone with a penchant for the taste of old-fashioned Turkish Delight will know that roses are not only edible, they’re delicious. India and North Africa have been using rose water in cooking and confectionary for centuries, and Turkish Delight is just a hint that, once upon a time, we also used roses in Britain as a herbal curative. So what’s all the fuss about? It clears toxins and heat from the body. It can relieve a sore throat, runny nose and blocked bronchial tubes. It fights infection, making it helpful to those prone to chest problems. Rose tea helps fight infection in the digestive tract and re-establishes the normal bacterial population of the intestines. It relieves fluid retention and hastens the elimination of wastes through the kidneys. It helps in cases of dysentery, diarrhea and gastro enteritis. It works as a remedy for all liver problems including sluggishness and constipation. It cleanses the liver and gall bladder and promotes bile flow. 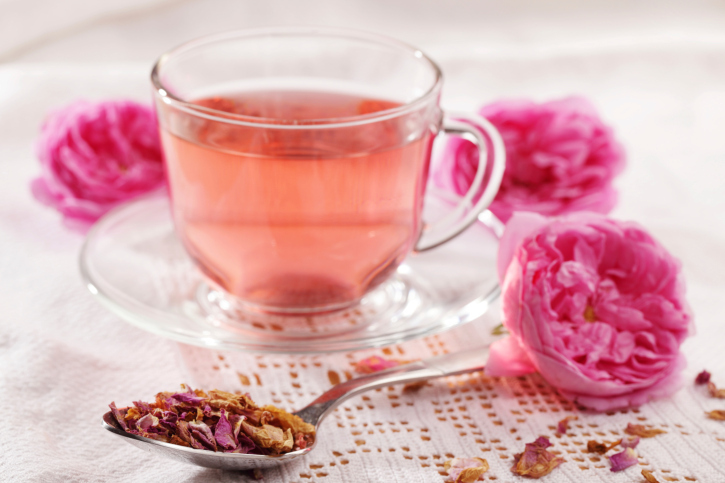 Rose petal tea can relieve uterine congestion, which causes pain and heavy periods. It is an excellent remedy for irregular periods and infertility. It has an uplifting effect on the nervous system and can help insomnia, depression and fatigue. Rose is also high in antioxidants, which fight against free radicals, slowing the degeneration of the body as it ages. Not only does it do all that, it makes a refreshing and delicious tea, which can be drunk hot, or cooled/chilled for a summer afternoon. When making tea, whether with fresh or dried rose petals, it’s best to use boiled water that’s been allowed to cool a little. Previous Previous post: Common Mallow – an Unsung Hero? Currently having issues with the calendar. Add +1 hour to event times.